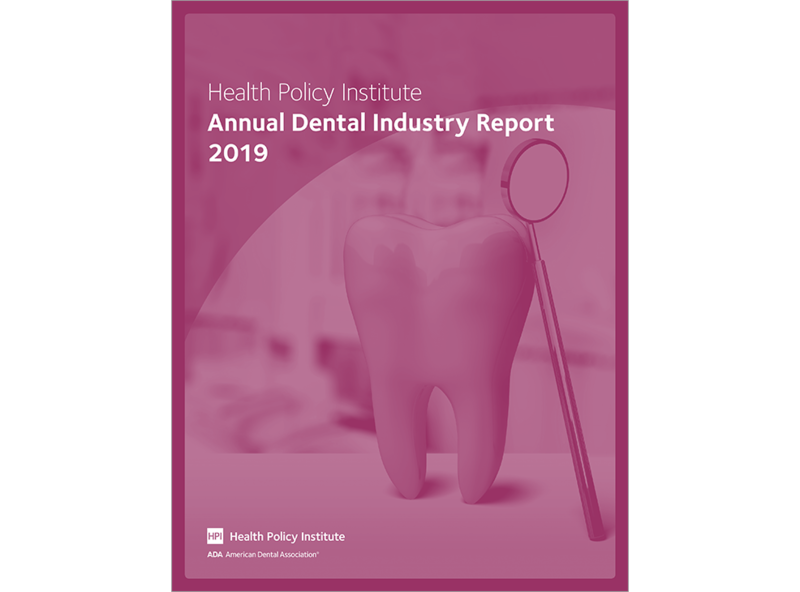 The dental industry is explored at length in this inaugural edition of the ADA Health Policy Institute’s (HPI) Annual Dental Industry Report. The dental industry is entering a “new normal” that is characterized by a growing number of dentists, shifting practice configurations, and an evolving patient landscape. The dentist workforce is changing in several critical ways due to demographic shifts, among other factors. The payer landscape is also shifting. This report draws on HPI’s analysis of a wide variety of data sources, including proprietary in-house data sets produced and maintained by HPI, external data sets purchased by HPI, and publicly available data. This informative report was created specifically for the dental industry at large and to better equip them with a high-level overview of broad industry insights. Learn more about expert consulting services from the ADA Health Policy Institute, including custom research and personalized speaking engagements. Visit ADA.org/HPIconsulting. A link will be provided in your Order Confirmation email. Your can also access your e-Bookshelf from your My ADA page (go to My Account/ My Downloads).